Yoga Flow 1: This class is suitable for beginners, new students and intermediate students who are looking to slow down and refine their practice. The class breaks down your yoga practice from the ground up. Take time to come back to the basics of alignment, core connection and learn to transition safely between poses. Yoga Flow: Yoga Flow is a mixed-level class for all bodies. This moving flow sequence works to generate heat in the body, teaches you how to connect with your core and builds a bridge between the body and mind. 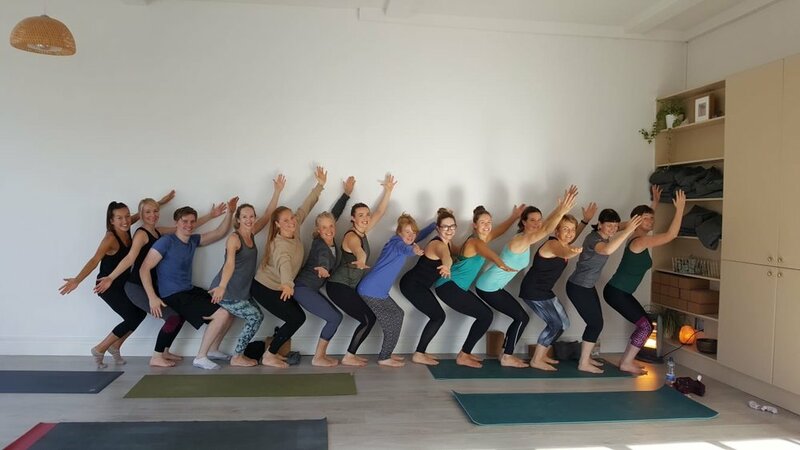 Yoga Flow 2: This heat building class is designed to teach intermediate students how to move their body into peak poses in a safe and effective way. Peak poses can include challenging standing poses, arm balances, inversions and deep backbends. Not suitable for beginners. Mellow Monday: Ease your way back into the week with a slow moving yoga class. This class is a balance between strength building, flexibility and gentle movement. All levels welcome. Restorative Yoga: This Friday evening class is designed to help you unwind from the week. We hold each restorative yoga pose anywhere between five to ten minutes using blankets, bolsters and blocks to support the body. These deeply restful poses works with your adrenal system and gives the glands the opportunity to slow down the production of cortisol and adrenaline, enabling deep relaxation. This class is suitable to all levels. Yin Yoga: Yin Yoga is a slow, healing, mindful practice that compliments all other forms of yoga. Expect to hold passive lying or sitting poses for anywhere between 90 seconds to 10 minutes leaving you feeling deeply relaxed. This class help’s to promote joint health, improve range of motion, increase flexibility. 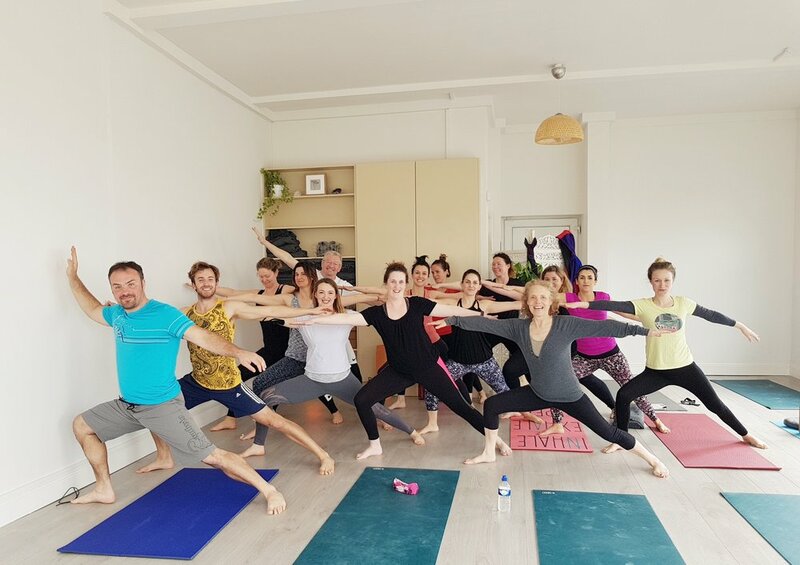 .This beautiful relaxing yin class is suitable from complete beginners to advanced practitioners. Brilliant class with Aisling! She is one of the best yoga teachers I have ever had a pleasure to practice with on both spiritual and fitness levels.